Fluid Treatment Systems provides the most comprehensive solutions, systems and support in the water treatment industry. We have found that there is no one perfect solution for our client so each system is best when it is customized to the unique requirements of a specific application. We have aligned ourselves with manufacturers that are best-in-class and incorporated their products into our solutions. We acknowledge our friends that have helped us build our business and our market-leading water treatment services. Park Environmental has been around since 1984 specializing in environmentally friendly products. This privately owned company focuses it’s sales in the United States and all products are made in the USA! Their products fulfill waste water treatment and water distribution needs. You will find a wide variety of storm water products as well as custom fabrication all in one great company. Rosedale Products, Inc. is the leading technology developer and manufacturer bag/cartridge filter housings and basket strainers. 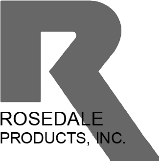 Rosedale Products, Inc. specializes in liquid filtration systems and waste minimization products as well as custom manufacturered systems for customers around the globe. Its engineering achievements over the last 25 years have produced an exceptional product line that includes high performance filtration solutions for multiple industries. Wahaso - Water Harvesting Solutions, is a design-build firm specializing in custom commercial systems for harvesting rainwater, greywater and other on-site water sources for non-potable reuse like toilet flushing and irrigation. Founded in 2008, Wahaso has already become an industry leader in custom water reuse systems for commercial and institutional properties. Aqua Treatment Services, Inc. designs and manufactures water disinfections systems specializing in ultraviolet and non-chemical multi-barrier disinfections systems for drinking water, food and beverage manufacturing and regulated Public Water Systems. Combining disinfections and stainless steel fabrication expertise, ATS has expanded into design/build packaged systems for water reuse and reclamation and specialized advanced oxidation and TOC reduction systems. CSI Water Treatment Systems, Inc. has been actively involved in the commercial / industrial water treatment market and has a full line of commercial products. Their forte has been specially engineered systems, combining their expertise in both controls and water treatment. They are dedicated to the improvement of water quality through innovative development of water treatment products, design engineering services and educational programs to provide the utmost in quality and support to their valued customers. Grease Removal Systems, Inc. has manufactured the most effective line of grease removal systems, grease interceptors, and solids filters. 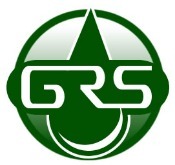 GRS specializes in restaurant, commercial kitchen, wastewater pretreatment systems, and custom oil/water separation systems for domestic, industrial, and international markets. ISIMET is committed to providing quality safety products for use in the laboratory classrooms of our Nation's Public Schools. Placing special emphasis on Student and Instructor safety is the focal point around which we development our Utility Controller Safety Control System. Our innovative Utility Controller provides not only a safe instructional environment for the Student but likewise a safe work place for the Instructor. "Viewing the ability to cope with emergencies from two prospective views, response and prevention." - we believe that our Safety System uniquely addresses both concerns in ways that are often overlooked by other designs and products. Layne Christensen SolmeteX Water is a leader in the removal of toxins from both drinking water and waste water. Our superior research and development team and commitment to Green technologies have pioneered the development of several toxin removal technologies that combine superior performance with waste minimization and recycling. The result is a series of high performance technologies that are cost effective in removing arsenic, uranium, radium, iron, manganese and other toxins from drinking water. These technologies are packaged in to pre-engineered products to reduce both capital and operating expense. Our Green design incorporates on site and off site waste minimization as well as provides for recycling when possible. We are committed to the development of superior Green technologies to provide safe solutions for you and the environment. Go Green…Save Green. MAPA's rooftop products include stainless steel and nylon freestanding, adjustable rooftop pipe and equipment support systems, structural supports for seismic and wind resistant applications, rooftop pedestals for water, gas and electrical services. VAF Filtration Systems has been providing filtration solutions worldwide with a business model built on Simplicity, Quality and Integrity. Their flagship VAF filters, the V-SeriesTM, are automatic self-cleaning screen filters used “Wherever Water Flows” and can remove suspended solids from 1500 to 10 micron. Individual filters and pre-assembled filtration systems are used in applications for Pre-Filtration of membrane, UV and other micro filtration technologies, as well as applications for industrial water reuse, water and wastewater, cooling towers, seawater, river intake water, well water, groundwater re-injection (Frac water), irrigation and many more. Systems can be designed to handle any range of flow rates.